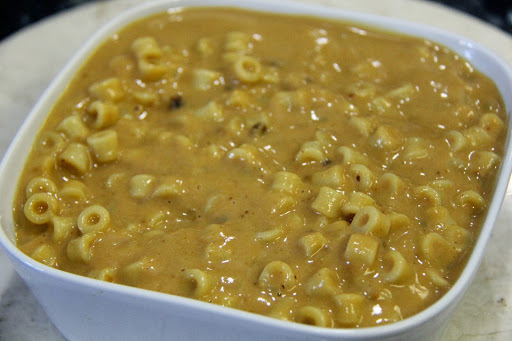 This is a vegan version of the traditional mac and cheese.I came up with this recipe for my vegetarian husband.It turned out quite good,plus it has all the good protein from the moong dal. In a blender or food processor blend all ingredients except the pasta. This should be a thick paste. You can add more cashew paste for creaminess. In a pan take 2 cups of water and add 1/2 teaspoon of salt and boil the pasta. Drain the water and mix the pasta with the blended moong dal mixture. Adjust salt according to your taste. You can also omit the moong dal and add equal quantity of ground cashews for a very rich dish. Vegetables like spinach or broccoli can also be added.